hearth/myth: A little autumn flash. It's been entirely too long since I've had time to be a regular at JD Mader's blog for his #2minutesgo feature on Fridays. I hate that. The writing challenge is fun, yes, but it's also fun and awe-inspiring -- and a little daunting -- to read the great pieces everyone else in the group turns out. I had to go this week, though, because Leland Dirks used a photo I'd shared on Facebook last week as a prompt for a poem that he posted on JD's blog on Friday. Not to be outdone, I wrote a little flash fiction piece of my own. Here's the photo (if anyone knows who the photographer is, please let me know -- thanks!) and my story. For Leland's poem (and everybody else's work), you'll have to click here and head over to the blog. 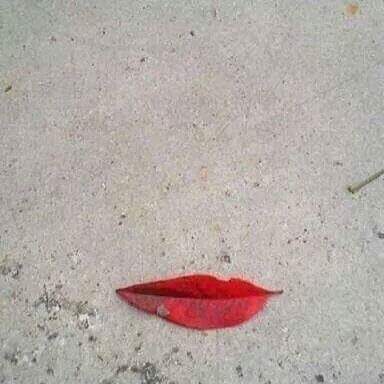 At first, all I saw was a leaf on the warm, late summer sidewalk. But then the leaf spoke. "Chilly enough for you?" it said in a rich contralto, parting along the spine to form lips. To say I was taken aback would be an understatement. "I..." I could manage nothing more. But as I stared at the apparition, a sharp breeze blew across my knees, revealing black eyes slanted in merriment, a hint of a nose, curls the color of aspens in the fall. Her mouth parted again. "Just wait," the leaf said. "It will get colder." And indeed, the crimson lips were now tinged with black. Frost rimed her golden curls. "Who are you?" I managed at last. But she didn't reply. Instead, she laughed and said, "Stay warm." And as I crossed my arms against a sudden chill, a gust blew the leaf away. These moments of fairytale blogginess have been brought to you, as a public service, by Lynne Cantwell. How many books a year is too many? How much would you pay for a verified page?